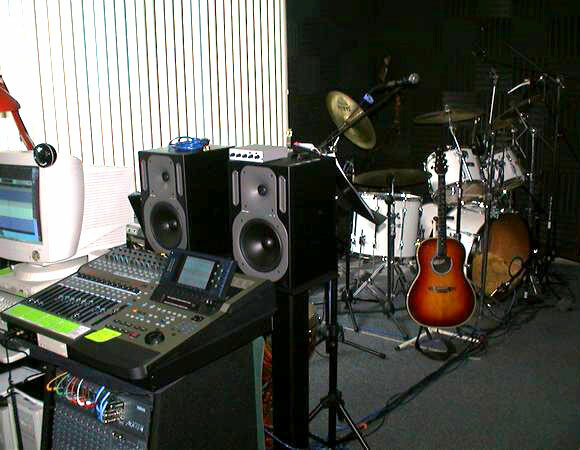 Wisdom Studios is a private recording/production studio in the New Orleans area. 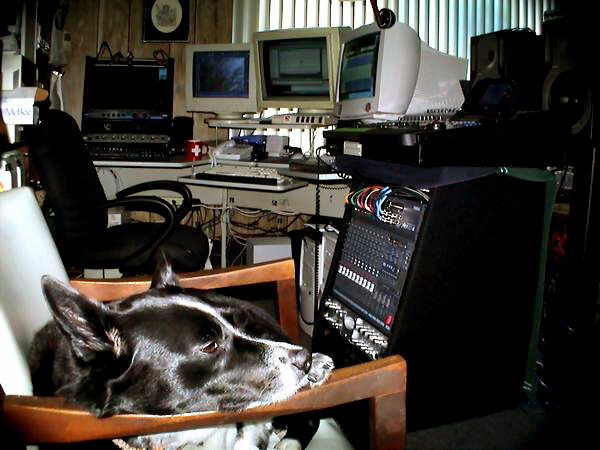 Established in 1987, the studio was named after the owner's dog, 'Wisdom,' who exhibited an unparalleled intelligence and intuitive demeanor. Wisdom's legacy lives on in this studio and the works it produces. The studio caters mainly to acoustic groups and acts which are small and self-contained, which do not need to rely on studio trickery to make their material palatable. Still, Wisdom Studios prides itself on being able to make an ordinary artist sound extraordinary. 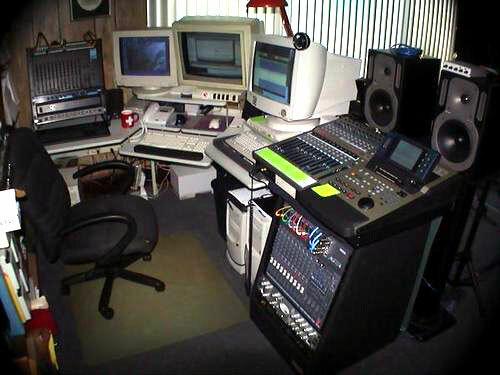 When it comes to high tech, the studio is loaded with equipment and resources. The digital domain is Wisdom's specialty, with mutiple DAW systems and high-end outboard equipment and mics to ensure clean and fat input signals. Wisdom Studios also boasts the best Internet multi-homed broadband access of any studio in the region, including a full T1 straight to the backbone and on-site web and e-mail servers. Our superior access with no middlemen ISPs provides a platform from which top-quality audio and video streaming and teleconferencing can be accomplished. On-site equipment includes: Rare early (Japanese import) Yamaha Recording Custom prototype drum set in pristine condition, 1960s Ludwig standard set, Congas, Bongos, Djembe, Talking Drum and loads of exotic & vintage percussion equipment (including a circa 1930s Slingerland Radio King and 1938 Leedy Broadway Standard snare drums); full MIDI setups with triggers & pads; guitars and basses, electric and acoustic, by Fender, Gibson, Ibanez, Yamaha, Ovation, and Guild; Yamaha ES8 keyboard/workstation; a wide variety of outboard equipment including preamps, FX, compressors and EQs by Avalon, FMR, Lexicon, DOD and dBX; mics by AKG, Shure, R0de, EV, etc. ; Amplifiers by SWR, Ampeg, and Fender, including a customized early version tube-based Fender Champ. Dax, Wisdom's up-and-coming protog�, takes a relaxing break after mastering a track. A little known fact is that Border Collies, in addition to being genetically predisposed towards herding small animals, are also amazingly adept at mixdown and compression techniques. 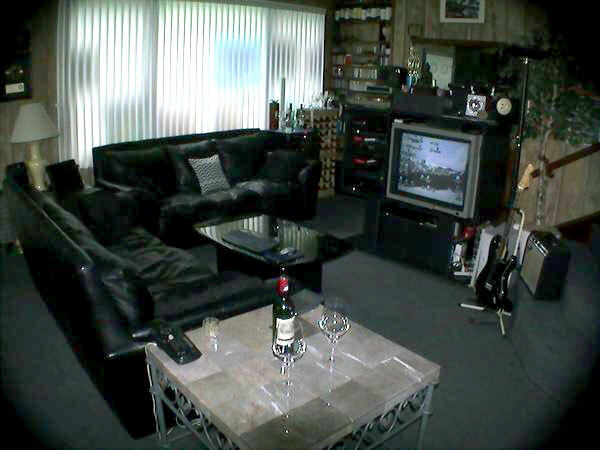 Some of Wisdom's atypical amenities include a nine-person jacuzzi, an amazing array of vintage video games, and the association (for better or for worse�ha ha) with the studio's owner, who has a tendency to exhibit loads of passion on way too many interests to outline herein. Want to record your music and get a master class in computer use or programming? A hallmark of Wisdom Studios is our desire to pass our wisdom along to those who grace us with their presence. However, before you rush to investigate booking your next project here, please note that due to the intimacy of this venue, availability is limited. 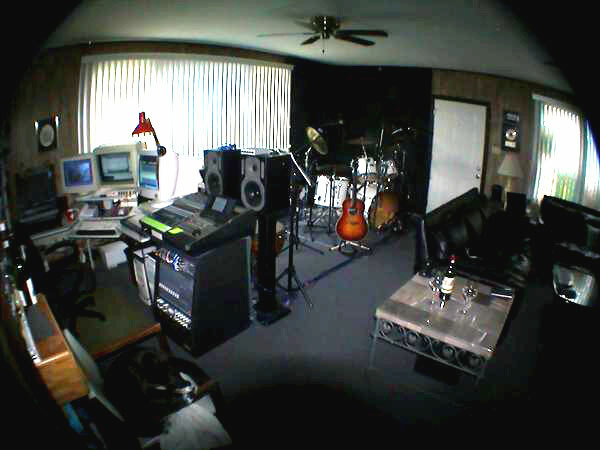 Wisdom studios is a labour of love and auditory experimentation more than it is a commercial venture. 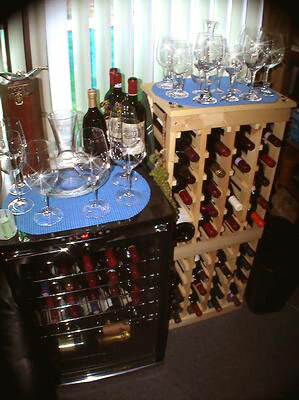 As a result, the studio's primary use is usually by invitation. We work with artists and on projects in which we feel our unique perspective and resources can make a difference. Most projects are produced by the Wisdom Studio staff, who will require a reasonable lattitude in making something out of the artist's material. If you are stifled in what you've done thus far and want to see a fresh perspective, Wisdom Studios is the place to go. Give us the chance and the cooperation, and we'll do our best to make sure you don't sound like every other artist who gets lost in the shuffle. We may also take on a project for little or no direct payment if we believe in what the artist is doing. Wisdom Studios is also known to host various national personalities who are looking to hide out in the city and have a casual place where they can experiment and track their ideas. In these cases, we can happily host 1�2 people in a cozy, secluded environment away from the craziness of the city, but always within five minutes of any place worth visiting. The studio is currently run by Mike Perry, who serves as the studio's main producer. Stay tuned for more details and links to representative studio projects and other references! Wisdom Studios hosts special house concerts for travelling musicians. We also provide top-quality Internet broadcasting of live events. If you would like more information on Wisdom Studios, click here. For additional resources, see Show archives, Wisdom Studios Twitter feed, Wisdom Studios on YouTube, Wisdom Studios on Facebook, Wisdom Studios on MySpace, Mike Perry Photography, online shopping, Mardi Gras, Louisiana Classifieds, Critical News Network.